03.18.07 The Maine State Scholastic Individual Championship will be held this Saturday, March 24, 2007 in the Memorial Union at the University of Maine, Orono. Those players who scored three points or more at last week's team championship are invited back to the individual competition with entry fee waived. 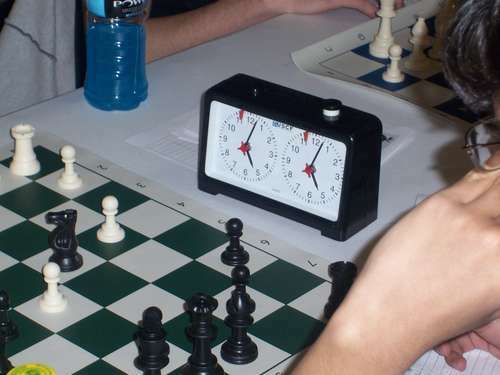 This tournament, a four round Swiss with time control at Game in 60, will determine state individual champions in five divisions: Primary (K-3), Elementary (K-6), Junior High School (K-8), High School (K-12) and High School Under 1200. Participants are asked to send a completed registration form to Ron Lewis, 189 Middle Road, Falmouth, Maine 04105. Questions can be directed to Ron at raltiger@aol.com.